At first the water in the jar looked murky and muddy. But when I placed the jar on a table, the silt in the water gradually sank to the bottom of the jar. As soon as I picked it up, everything churned up again, but the longer I left it in stillness, the clearer the water became. In the same way, I sensed God calling me to rest in him and his peace. I heard his gentle whisper, “Be still and know that I am God.” In silence and solitude with God, I knew that my heart, mind and soul would settle and clear. For years, I had pursued the heart of God through activism in the slums of the world. The subversive Jesus I had come to know and love had placed a youthful passion in my heart for justice and the poor. But I had come close to burning myself out by pursuing his Upside-Down Kingdom in my own strength. Now, God was subverting my drivenness and destabilizing my arrogance by calling me back to the very things that would give me the power to continue for the long haul. In this complex dance between contemplation and action, I had been out of step too many times to mention, each foot tripping over the other. But it was a dance that I needed to stumble my way through. This is not about external silence, which Mother Teresa would not have found in Kolkata, but rather an internal slowing down in order to become aware of God’s presence. Evenings at our community home in the Downtown Eastside can feel overwhelming and out of control. Some of our homeless friends smell of the streets and unwashed socks. Many who are consumed by their addictions or mental illness have lost interest in personal hygiene. Some do not know what it means to talk quietly, including my own children—and my wife Nay says they get it from me. But regardless of what might have happened during our often chaotic house during the evening—whether a spontaneous jam session on the guitars, or the painful detoxing of someone withdrawing from crack—at nine o’clock, everyone knows that it is our community’s time to gather for listening prayer. Drawing on the rich prayer tradition of St. Ignatius, we seek silence in the cloister within our hearts. Through Ignatius, we have learned that we don’t have to retreat to a monastery to find space for prayer, but can be in silence together and become aware of God’s presence right in the midst of our chaotic inner city neighbourhood. And in that place of inner silence, we invite God to shine light on our day. The churned up water of our hearts slowly clears. 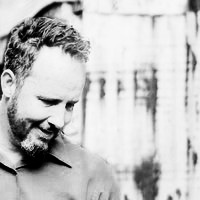 Craig Greenfield is the author of Subversive Jesus: an adventure in justice, mercy and faithfulness in a broken world. 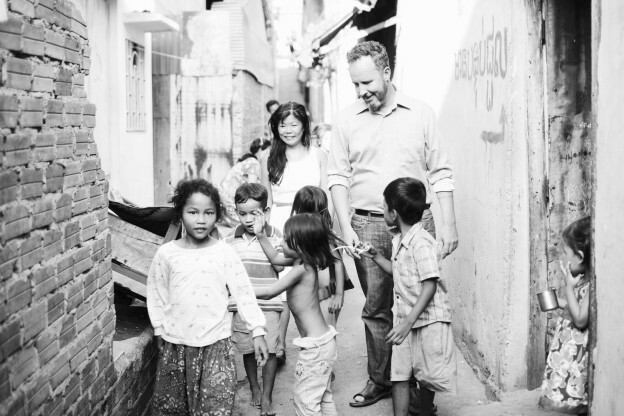 Craig is the founder and director of Alongsiders International, a grassroots movement working in a number of Asian and African countries, equipping young people to walk alongside those who walk alone – vulnerable children in their own communities. This entry was posted in Contemplative Activism, Reflect, Social Justice and tagged Action, Cambodia, contemplation, Ignatian, Inner City, Silence on April 20, 2016 by Phileena Heuertz.